I’ve been meaning to introduce myself for a couple months now. 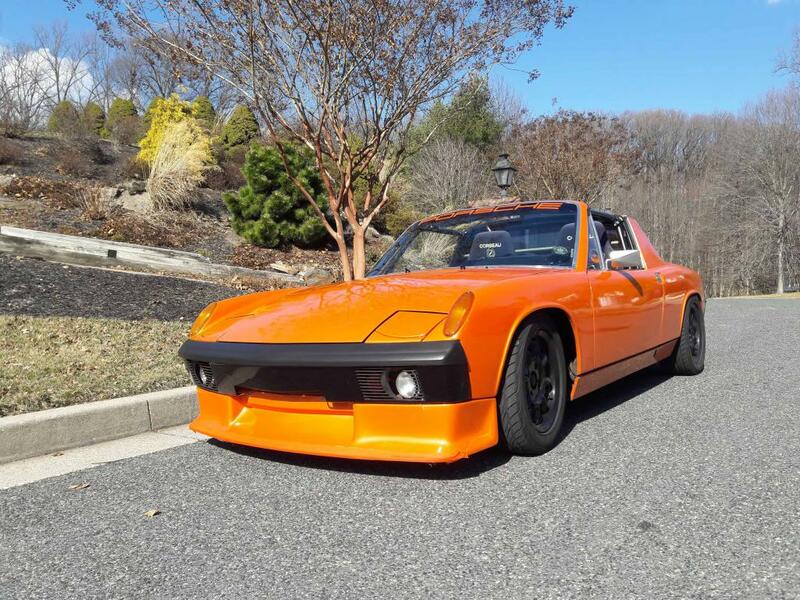 My name is Aaron and last February I bought the orange 71 914 that was in the classifieds section on this forum after lurking for 4 months. I arrived here after a couple year search [and saving] for a fun yet reasonable toy. I had ridden in an exige S during a Lotus club ride along RTs 76/79 and up the backside and down the front side of MT Palomar, and left thinking I need one of those. During my stretch of saving, the exiges went up in value to what I feel is unreasonable for my financial status, leaving me looking for an alternative. Fast forward to October of 2017 when that same friend brought me as co-driver to the Baja Targa in his 69 BMW 2002 which had a cheater engine and 5-speed. I never suspected that I would have as much fun in that car as I ended up having. I attribute it mostly to the handling as it was really dialed in and stayed pinned to the ground the entire event through La Rumorosa and San Pedro Martir. Upon my return I looked at some Alfas and TVRs, but quality and cost never lined up. 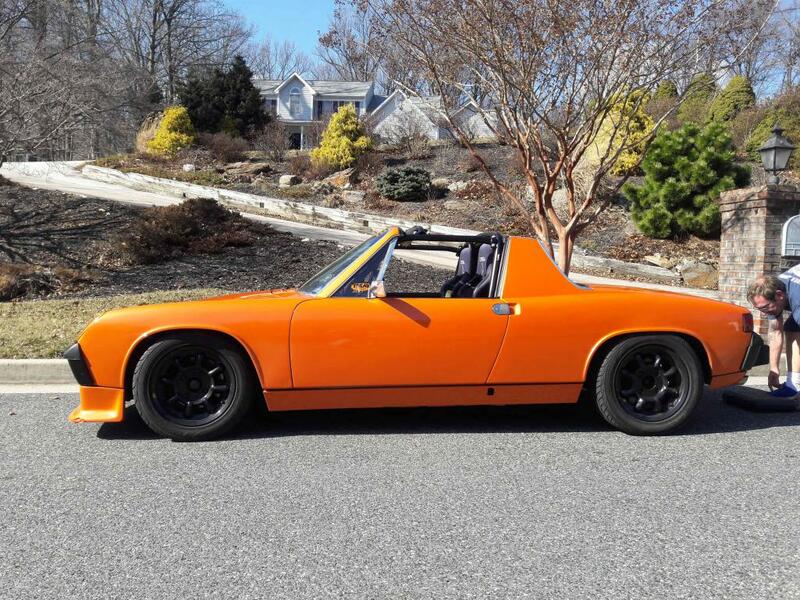 Then I was able to take a 914 for a spin and realized it was the closest feel to the exige that I was going to be able to get, having a low stance with engine next to my ear, and handling like a go-kart. 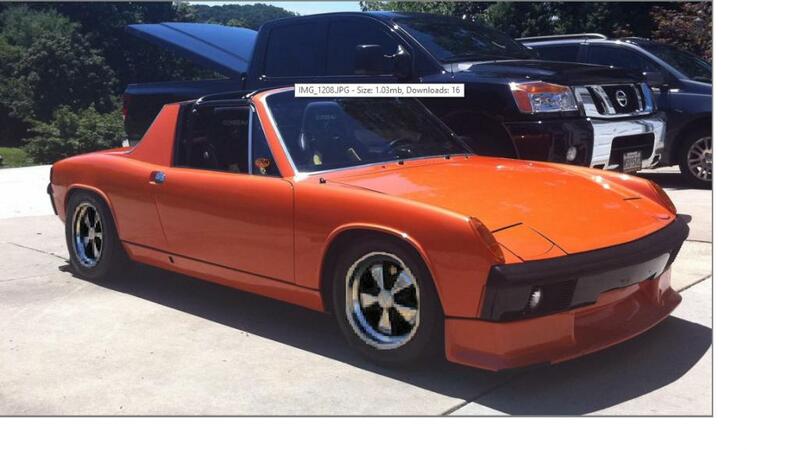 So, price lined up on the orange one and I trailered it home with enough time to get it registered for spring. Along with it being a driver and needing minor betterments it turned out to be a good situation. I’m also grateful that this community seems to be very friendly and am somewhat surprised that some of the more established names have already been so willing to talk to me. I’m not all that knowledgeable about repairing things but enjoy trying and learning so the help is a relief. I don’t have many plans for it other than just replacing anything that is necessary and mostly driving related, and just enjoy driving the snot out of it. I have been enjoying 2nd and 3rd gears a lot this past week, but am already feeling interested in another 50-75hp….and after attaining the extra hp driving it in the Baja Targa in 2019 or 2020. Ask as many questions as you can. I don't think that there is a 914 question that someone here (other than me) doesn't have an expert answer to. Did you buy Chris’s car? I rode in your car before you purchased it. I couldn't swing the amount last August and lucked out and found my 73. The car was great! Hope you got that fuel smell worked out. We put one of my mufflers on that car and did a small amount of chassis repair after replacing the engine two years ago. Funny that Nick bought a car from up here and you bought the one from near him. careful. I'm good at asking questions. even stupid ones. sometimes 2 and 3 times. Yes, I did. Sorry I was flying back from Costa Rica during the Hershey swap meet. I'll plan better next time. yup, file size was too large. thank you! ordered the gasket on top of the tank. installed it and noticed there is a missing hex bolt - waiting for that to arrive now. so no, I haven't, hoping it is just that opening where the bolt is missing. next thought was filler cap gasket, but it doesn't look that bad. coming to see you once my short list is done. Oh thanks for sharing that, I was contemplating those too! Ok, now I'm looking at June 11, monday. is that a swing in near lunch kind of day? All lights working (except reverse lights). brake pads and rotors done. fluid drained and filled and bled. Elephant racing trailing arm kit installed. Gas filler neck gasket bolt tonight. Mirror done, but then broke by neighbor last night, will fix again soon. a little dashboard area touch up this weekend. just need an alignment now. - front sway bar planned for August. If you call ahead it should be fine. We might be able to fit in an alignment for you that day but reserving the whole afternoon would be necessary. My alignment rig is outdoors so would require good weather. Don't trust a tire place or other alignment shop. (IMG:style_emoticons/default/welcome.png) Nice buy. Great looking car. I like the way it looks. If you are considering wheels, have you considered just having the current black wheels power coated to a gun metal silver?